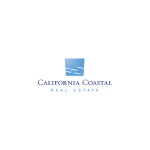 Founded in 2006 and located in San Luis Obispo, CA California Coastal Real Estate is a licensed real estate firm with an experienced staff of Central Coast real estate agents. We make a great effort to understand our clientsҠpersonal needs and to help them find the right homes, in the right locales, at the right prices. Our consultative approach enables our clients to make informed decisions on what may be the most important purchase of their lives. We educate our clients about the local markets and factors that affect future resale, as well as giving them insight into a property’s full potential. Discover the difference at California Coastal Real Estate! Since opening in 2006, our specialty has been our consultative approach. We view the relocation process through the eyes of our clients, and that is exactly why California Coastal Real Estate exists today. We created a client-centric relocation process that is comprehensive and less stressful. Whether moving across town, across country or crossing international lines, California Coastal Real Estate customizes relocation searches to get our clients the right home in the right neighborhood at the right price. How do we do it? California Coastal has created a strategic intake analysis that has been described by our clients as ԣomprehensive, efficient, and unprecedented.We know the questions that must be asked ֠and answered ֠not only to complete the purchase of your new home, but looking forward to the future of your home. What neighborhood(s) will best fit you and your family? What if you want to build an addition or a rental unit on the property? What are the growth opportunities around your home that will help it appreciate? California Coastal Real Estate is known for going above and beyond to provide our clients with complete short and long-term insight to truly make an informed decision. As an executive with 20 years of experience in the healthcare industry and an MBA, here I am in real estate, and that is exactly what sets me apart. My career began in Atlanta, Georgia working in a large medical center as the Director of Cardiopulmonary Services and two decades later I ended up as a Senior Director of Business Development for one of the leading providers of rehabilitation program management services in St. Louis, Missouri. In between, I rounded out my experience with management, operations, and consulting. Real estate is a natural fit for the skills IӶe developed ֠sales, negotiation, management, and communication. But to me, real estate is more than the obvious buying and selling of homes. It’s about relationships. Long-term relationships. Itӳ about caring enough to discover what is important to a family, a couple or an individual and finding the home that best captures those values. It’s about ending my day knowing that my clients love not only their home but their street, their neighborhood, their town. I currently serve as a commissioner on the San Luis Obispo Architectural Review Commission (ARC), giving me an edge on those obscure details that can prolong or overturn a real estate deal. I’m highly motivated, persistent and enthusiastic. I am committed to my clients and my community. I do the homework so that both my clients and I are well-informed before making vital decisions. I am a person of integrity who prides himself on being a resource above and beyond the world of real estate. I dedicate much of my time to giving back to a community that has given so much to me. Met Steve through a grad school buddy that Steve helped find a home in SLO for his Boys while attending Cal Poly. Steve helped us with a similar need for my Daughter who is also attending CalP oly. It took a while, but Steve really made an effort to understand our priorities and provided us with a wealth of information on SLO and the Central Coast RE market. He found us the perfect property, in a great location, within our price range. Steve also helped put us in contact with local business people who helped get us through a relatively painless remodel process. My Daughter and her roomates love the house and neighborhood. I would not hesitate to recommend Steve or use him the next time we are looking to buy or sell. Thanks again Steve!Ԡ- John H.
“Steve is detail-oriented and also gets the big picture when selling/buying real estate. Steve really worked hard to help us sell our home just as the market was starting its downturn. His efforts really got the job done. We were very impressed with the level of professionalism and dedication he showed us each step of the way. Thanks, Steve.Ԡ- Amy K.
After owning a construction company for 25 years Joe Prian had spent a lot of time with realtors, he then decided in 1999 to pursue a real estate career. He started working for a indepent real estate office in Cambria Ca. and quickly realized the necessity for branding with a national company. After almost 13 years with a locally owned franchise, Joe and Annette decided to pursue their dream of owning a real estate office in Cambria. Joe and Annette purchased the RE/Max franchise on 11/11/11 and waited for the right location to open up for them. On January of 2012 the location right downtown Cambria came available and RE/Max Pines By The Sea was born. With a desire for education and adaptability, Joe found the perfect pairing with RE/MAX. RE/MAX has the most agents of any company in the world and with offices in over 80 countries worldwide they are second to none. They continually offer the newest technology and training to their agents, which in turn gives the consumer the highest degree of professionalism available. Our commitment to the consumer isn’t just focused on us as an office. We also surround ourselves with the highest caliber of associates in the real estate industry we can find. From escrow agents to home inspectors we demand the same service from our vendors as we do of our agents. Our desire is to have a “seamless” transaction from start to finish!